Within Teamwork Projects, you can generate an activity report which covers all active projects on your site. Go to the Projects tab of your site. 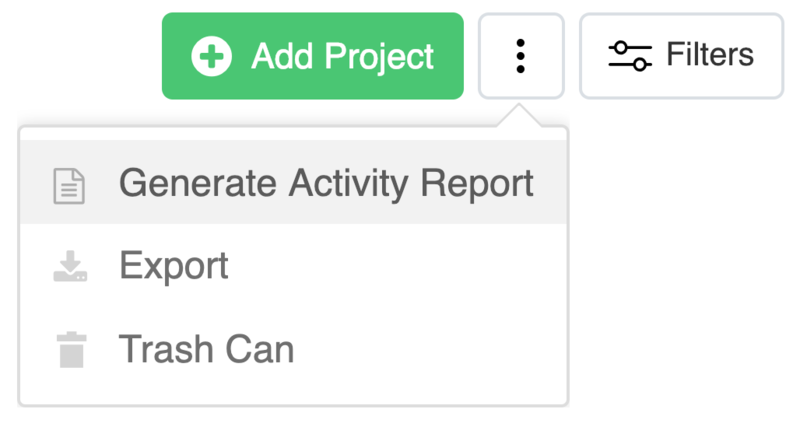 To the top right of the Projects area, click the options (three dots) button, and select Generate Activity Report from the dropdown menu. 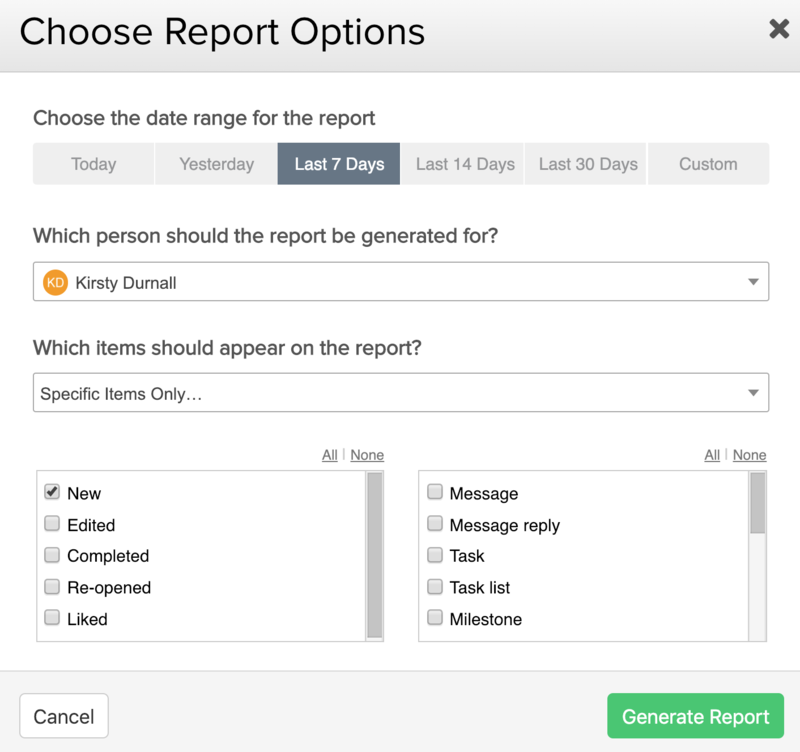 When creating the report, you can choose from different options such as date range, who will be included in the report, and which items are included. You can download the activity report as PDF or view as a HTML document. Note: Standard users and above in the owner company can generate an activity report. External company users need to be a site administrator to be able to generate it.